*Place in laundry net, and set to normal wash when using a washing machine, and refrain from using a drying machine. ＊Pigment printed fabrics are able to create vivid coloring, but due to its vulnerability to friction and dry-cleaning discoloration may occur. Yellow Large Spider Lily Hair Clip 6"
This dress is so much more prettier in person than the pictures on the website. And their customer service department is awesome with answering questions in a timely matter. I am thrilled with this dress! 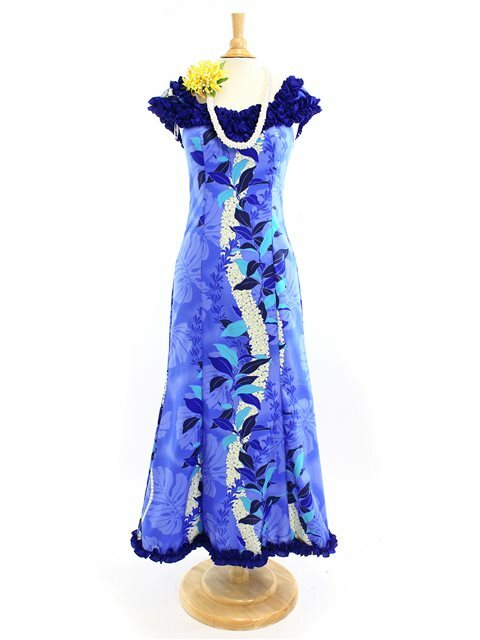 It is so gorgeous and well-made and will be worn in my first Hula solo. Excellent quality of the material. Beautiful colors. Just perfect for my renewing of our vows. This dress is beautiful; however, it is cut small.